The warmth of the room will envelope you as you step in. 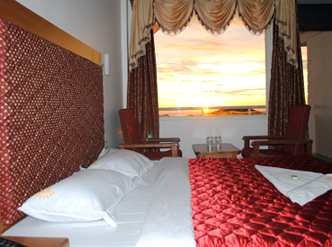 To make your stay memorable, Rooms at the Hotel Sunrise provide an ideal environment for complete relaxation and repose. 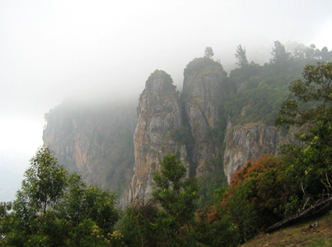 The breathtaking views of Kodiakanal’s Scenic beauty, gives you a reason to appreciate and savor the short break from the hectic life that one leads. 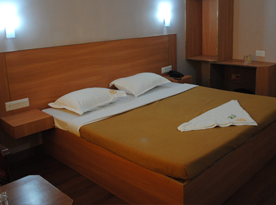 Deluxe rooms with complete set of daily needs available inside the room. 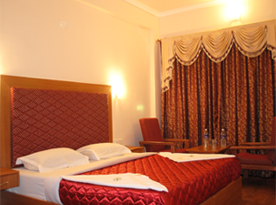 Rooms has been designed tastefully. 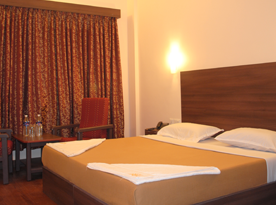 To make your stay memorable, Super Deluxe Room provides an ideal environment for complete relaxation and repose. 24 hours hot and cold water service and room service. This room is specially designed for new weds. Couples can make their stay even more memorable by choosing Sunrise Suite room. One of the most Admiring feature of this room is the “Valley View”. 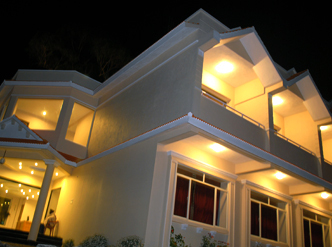 Rooms are furnished with exquisite antiques which open out onto a balcony from where charming views of Lake can be seen. 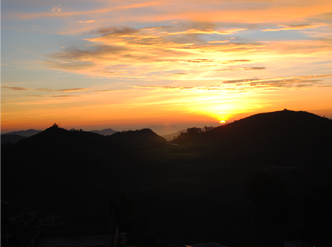 Lake view on one side and scenic beauty on the other side makes you feel the importance of life. Rooms to reunite your families and friends. Family rooms are also available in our hotel, only few Hotels provide you such facilities. Rooms to accommodate your families, no matter how big or small it is. Complimentary newspaper and bottled water are also replenished daily in the rooms. Extra bed sheets and pillows are available to accommodate your families. 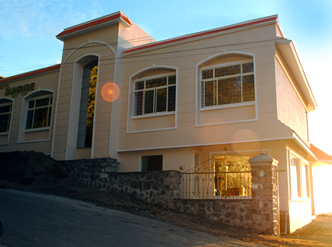 Sunrise Deluxe designed with comfort and up to the minute facilities in mind. 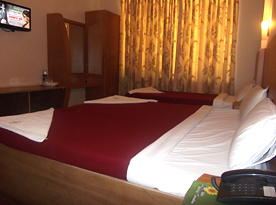 Rooms are equipped with color TV, comfy beds, tea stands, dressing room. 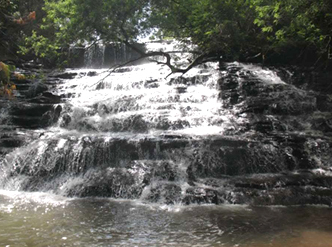 Rooms are washed and maintained periodically. We always provide you wellspring Beds to ensure a restful sleep. We always aim to maximize your convenience and comfort.